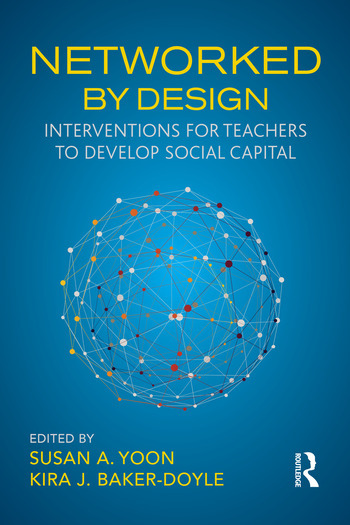 Networked by Design brings together work from leading international scholars in the learning sciences that applies social network theory to teachers’ social interactions and relationships. The volume examines the direct and indirect relationships and communities that teachers navigate, as well as the models, plans, and other interventions that allow them to exercise control over these networks. Each chapter draws from case studies or latitudinal research to investigate a different intervention and its outcomes. By presenting research conducted in a variety of scales and contexts, this book offers scholars, future teachers, and leaders diverse insights into how interventions in social capital and social networks can create impactful, meaningful teaching and learning. Susan A. Yoon is Associate Professor in the Teaching, Learning, and Leadership Division of the Graduate School of Education at the University of Pennsylvania, USA. Kira J. Baker-Doyle is Rosemary & Walter Blankley Associate Professor of Education and the Associate Chair of the School of Education at Arcadia University, USA.